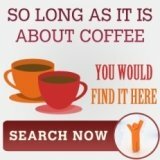 Divina Single serve coffee brewer | Good Espresso Maker? Yes, divina single serve coffee brewer is not the best espresso maker around, but we know that a great number of you Singaporeans would love it! 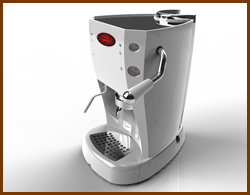 Most of us agree that for real gourmet coffee, you would have to be using an espressso machine. And we would also agree with the "price" that we have to pay for drinking this gourmet coffee. 3. Effort to shop for good coffee beans. It is a hassle for just a cup of coffee. Why, one can just go downstairs kopitiam, and have a kopi for less than a dollar. And that is the reason why divina single serve coffee brewer is good. It allows you to use ESE coffee pods. 3. Remove the spend coffee pods and enjoy the coffee. The ESE coffee pods are ground, measured and sealed to the specifications of a good coffee, so you do not need to worry about all the measuring, the grounding and what have you. The only thing you need to worry when enjoying a coffee from Divina single serve coffee brewer is a good place to hang and savor the coffee! By the way, divina comes with a wide array of coffee from luccaffe and they boast of blend from Blue Mountain, Colombia and even a tea range. So, variety and taste should not be an issue. We know after writing reviews and articles for years that one of the hardest part for people to make a decision is the purchasing part. **You need to contact us for the password to claim the free coffee.